Including 1-on-1 and private groups (e.g. family, friends). Our personal training programs are all tailored to meet the needs of the individuals. Our team of personal trainers all have completed their bachelor of exercise & sports science degree (3 years) plus additional experience and/or study. 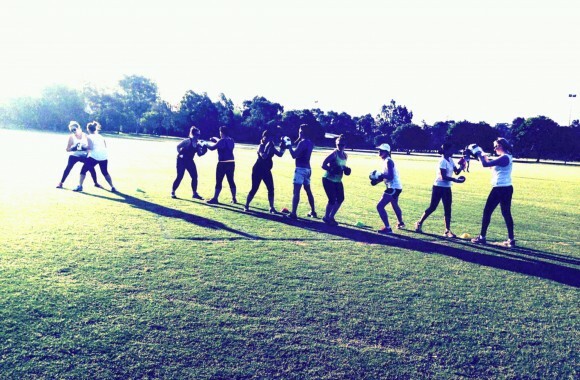 Classes include Boot Camp, Boxing Blast, Group Fitness Class, High Intensity Training, & Mums and Bubs. These sessions run to a timetable and anyone is welcome (reservations required). Sessions run for 45-60 minutes and we can cater for all levels of fitness. 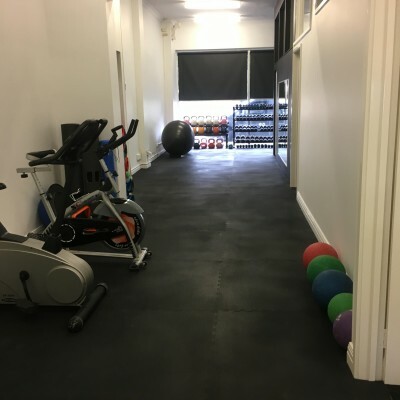 Fitness Keeper offers exercise physiology services within our Camberwell Studio. Accredited exercise physiologists (AEP’s) can create individualized exercise programs for the prevention and management of chronic diseases, health conditions, and injuries. AEP’s deliver evidence based exercise prescription and some private health insurance providers allow rebates to be claimed through your extras cover or you may be eligible for services under the Enhanced Primary Care (EPC) program for clients with chronic conditions and complex care needs. The Fitness Keeper Studio is located at 395 Camberwell Rd, Camberwell 3124. Parking is available on Camberwell Rd as well as other surrounding streets. Please check time limits when you park. 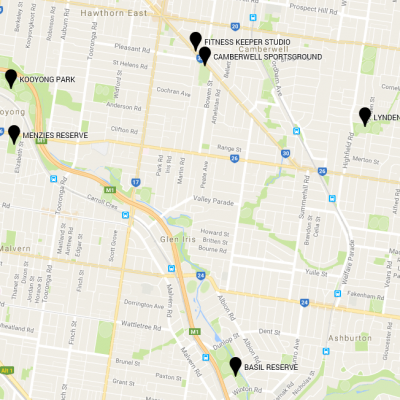 Outdoor locations include Camberwell, Malvern & Malvern East. Please contact us for more information. Use our Fitness Keeper app on your smart phone or tablet for your convenience. The app allows you to easily request private sessions, reserve a place in our classes, make payments, view your bookings, and more.